The 12 lowest ranked AFC (Asian Football Confederation) nations face the biggest match they will play for three years. That is because they have to play each other for the right to enter the group stage of qualifying, therefore they could be out of the World Cup three years before the finals. There are 12 nations involved in the preliminary round - Malaysia, Cambodia, Macau, Laos, Bhutan, Mongolia, Guam, Bangladesh, Brunei, Timor-Leste, Pakistan, and Sri Lanka. The teams will find out who they will be playing on the 17th of April when the draw will be made at the AFC House in Kuala Lumpur, Malaysia. 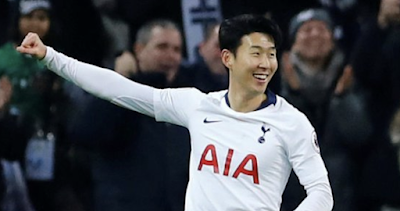 Each playoff game will be played over two legs, a home and an away tie, the winners of this game will be rewarded with at least another eight competitive matches, the losers face the prospect of playing no competitive games for another three years. That is a dreadful prospect for the lowest ranked countries, friendlies are all well and good but they don't replicate competitive games with the prospect of actually winning something riding on the outcome. Friendlies cannot duplicate that kind of pressure, excitement and buzz and the World Cup qualifying games are one of the few times a lot of the lowest ranked countries can pull in any kind of crowd or generate major interest around their national team. These games are truly massive for the countries involved and their football development, in particular, we are interested in the three East Asian countries - Guam, Mongolia and Macau. Football is still a growing sport in these countries, and there are strong attempts by each to improve all aspects of the game in their country. Therefore it is vital that they can bring competitive football to the country with the words 'World Cup' attached to the tickets. It doesn't matter a jot that those words have 'qualifier' after the previous two words, because seeing World Cup generates a buzz and interest in a lot of folks who wouldn't care about going to watch a friendly game between Macau and Solomon Islands for instance. If these countries fall at the first hurdle, it can throw the countries attempts into a backward motion, and make it harder to generate interest in their matches. For one they are just friendly games but the main reason is, it's no longer connected to the World Cup, and the World Cup wording is a key resource into generating new interest and fans around the game in these countries locally. Therefore, for the 12 nations involved in this playoff games, it is their biggest match every three years, because losing this game sends their efforts crashing backwards even if the FA's involved in each country are striving to move forward and develop, it is difficult without the money generated from the World Cup qualifying games, and without the interest from the public. Losing this game is similar to crashing your car into a brick wall at 120 mph and still expecting your car to run smoothly, it won't. We are hopeful the three East Asian nations involved get through this round because we have been following them closely for a period of time now, and have seen the effort they're trying to put into developing football. Please get behind Macau, Guam and Mongolia and give them as much support as you can because boy do they need it. This game is truly massive! The 12th March 2015 - I took a half day from work in order to go down to Kaohsiung, southern Taiwan with a fellow Geordie pal. We were headed to the stupidly oversized national stadium that was built for the World Games. It is stupidly big, it has a capacity of 55,000 and is cool because it is the biggest stadium in the world that is generated by solar power, but a 55,000 capacity sports stadium in a country that isn't renowned for being into sports is stupidly big in the extreme. We didn't expect it to be full, half full or even a third full. 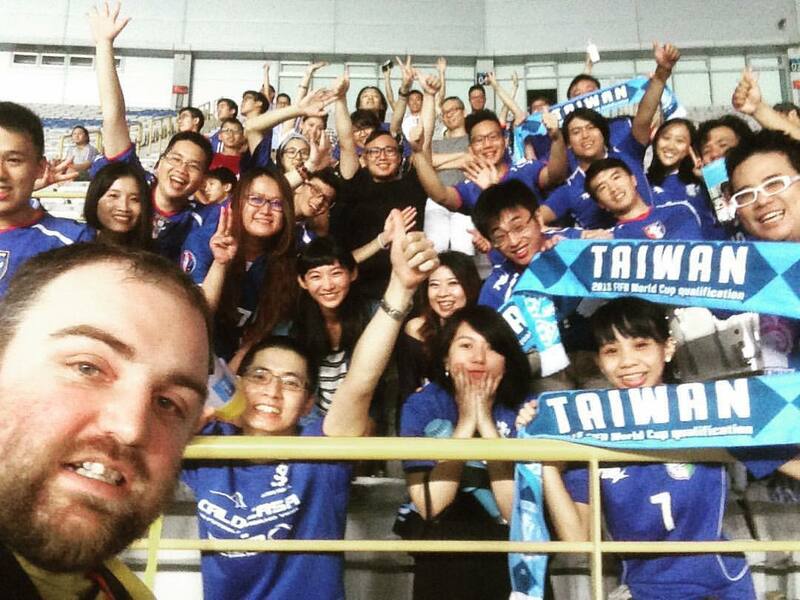 Regardless of that, we were going there to watch the vital World Cup qualifying match between Taiwan and Brunei. This was the first leg, of a two-legged qualifier, the winning side would advance to the group stage, where they would be guaranteed to play another eight matches. The loser, would be out and face the prospect of having no competitive football for another three years until the World Cup qualifying rolled around again. The prospect of spending three whole years with no competitive football in the country was a petrifying thought, and I was praying that I wouldn't have to endure that dreadful situation. When we arrived close to the stadium, the area was very busy with Taiwanese fans getting there three yearly excitement that is only generated by those magic words on the ticket and posters 'World Cup' but it wasn't 55k busy, that much was evident. Either way, it is wonderful seeing that there is some positive atmosphere generated and it is the most opportune time to capitalise on football in Taiwan. Last time around the CTFA (Chinese Taipei Football Association) failed in that respect as they made it impossible to locate tickets and failed to even promote the games well, it was like they didn't care too much but there is nowhere of knowing if that was the case or not. Inside the stadium, it was pretty empty, there was a huddle of Taiwanese fans chanting and cheering their team on, but on the pitch however, the game didn't go as planned. 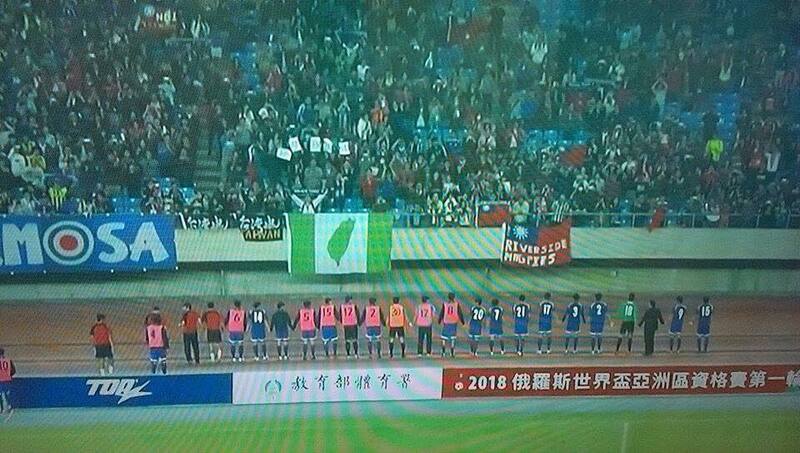 Taiwan lost the match 1-0 due to a shoddy goalkeeping error. A high ball was slung into the box, the keeper came bombing out and tried to punch it instead of catching the ball, he missed the ball and Brunei forward prodded it into the goal. The away side couldn't believe their luck and celebrated the goal and the final whistle wildly, I can only presume they thought they'd got through the most difficult part of the tie. Taiwan travelled to Brunei needing to win by two goals, previously all the games they had played away hadn't gone well since I started supporting them. I thought they were doomed, and the prospect of having no football for three whole years was very real. I thought there was no chance now of Taiwan winning away by two clear goals, not a hope in hell. How bloody wrong I was, somehow they did manage to win 2-0 and win the tie on aggregate 2-1. The relief I felt at getting through that game is difficult to explain, it was a massive moment for football in Taiwan, and I believe if they lost that game then Taiwan wouldn't have improved as much as they have since then. Since that away win, they have employed very good foreign managers and coaches with good experience and qualifications who have worked very well in developing the national team, but without that win, there is no way Taiwan would have kicked on. After defeating Brunei, they were placed into a group with Thailand, Indonesia, Vietnam and Iraq that meant they had more games in front of sold-out grounds because of the words 'World Cup'. Unfortunately, Indonesia was banned which robbed Taiwan of two matches, but the games home and away against Iraq, Vietnam and Thailand seemed to give Taiwan so much experience that it helped their upcoming progress. They finished the group with no points, but what they had gained from that group stage experience was worth a lot more than points, it gives the players a view on what they needed to do to achieve more, and they all seemed to take that on board and into the future as it seemed they wanted more of that again in the future. Without that vital win against Brunei, the progression made would never have happened. This, I firmly believe and that is why that win was monumental for Taiwanese football which is progressing very well now. On the flip side of Taiwan's success was the misery for fans of Brunei football, they had the misfortune of enduring three years without competitive football for their small country. The South East Asian minnow might have now been where Taiwan is if the roles were reversed and Brunei, not Taiwan won that crucial World Cup match. This is a problem for the minnows in the Asian Confederation, losing that game means end up suffering a large setback on your attempts to grow the sport in your country and develop your national team. With no prospect of games, it is hard to grow and a struggle to even organise friendly games because you are so far down the World Rankings it makes it difficult to attract other nations to play you. Another problem with losing that qualifier, means as a double whammy you also are eliminated from the Asian Cup because the World Cup and Asian Cup qualifiers are combined, so not only do you lose competitive matches from World Cup Qualifying, you also miss out on Asian Cup qualifying. Countries at the bottom end of the rankings really need more competitive matches to improve, however, that alone won't make them better themselves. Each countries football association needs to put in the effort to push the country forward otherwise more competitive matches alone cannot do that for them. The top countries in Asia have no problems organising games against countries from other nations, but without researching, I would guess that it's roughly only the top ten Asian sides who can pull in a South American nation for a friendly. Once you're outside the top ten Asian sides, I think you rarely see sides below that have friendlies against countries from outside the AFC. My guess is countries ranked 20 and below in Asia, mostly play friendlies against other Asian nations anyway, and if they do play a side outside of the AFC it is only once in a blue moon and doesn't offer enough benefits to say it is better than having a Nations League. Go lower than the 20th ranked Asian side, and they even have issues in trying to arrange matches against other Asian sides anyway. A Nations League would make the games competitive, and help all sides in Asia play competitive matches, plus other confederations are starting their own nations leagues too. North America has started one, Europe's was a roaring success, so, therefore, this limits what sides you can have a friendly with anyway. Once you take out Europe and North America, you're only left with South America, Africa and Oceania. Plus there will still be windows in the international calendar open to playing friendlies against sides outside of the Nations League. An AFC Nations League could be vital in helping Asian teams participate in more regular competitive football, depending on how it is set up, and what the draw is like it might also generate more public interest for football in certain countries if they draw neighbouring countries which could generate interest and income from sponsors and ticket sales. More regular, competitive football will be helpful for all sides in the AFC, all you need to is cast a glance towards Europe where teams such as Luxembourg, Faroe Islands and Iceland were UEFA qualifying whipping boys for a long time. 20 years ago those countries would get smashed every time, but now with all that experience of playing competitive football they're winning games often, and Iceland even famously qualified for Euro 2016 and Russia 2018 which would have been unexpected 20 years ago when they were getting hammered 7-0 in matches. There were calls from the 'big teams' to have the small countries kicked out of European qualifying, but the progress of those teams I mentioned - Faroe Islands, Luxembourg, and Iceland among others have shown that UEFA was correct in allowing them to be involved in qualifying for the World Cup and the European Championships for every competition and not force them to play pre-qualifying games. The AFC are clearly worried about how it looks having scorelines such as 18-0 victories, yes it doesn't look great, but the small countries need a chance to build up their experience of playing competitive football or how will they ever improve, How will those 18-0 scorelines ever become 8-0, and then 2-0 and then a point where the small nations have a chance of upsetting bigger ones like Luxembourg's 0-0 draw away to France. The only possibility of this ever happening is if the AFC allows the small nations to be more involved in competitive games throughout qualifying instead of forcing the lowest ranked nations to battle it out for the chance of avoiding no competitive football for three years.